Horses are the main attraction at Harris Stage Lines which is located in the Paso Robles Wine Region of California! Harris Stage Lines is located just 4 miles north of Paso Robles, California along the Salinas River. Your hosts, Tom and Debby Harris invite you to take a journey into the past. Uniquely qualified to be your guides, because the Harris’ are recognized worldwide in the entertainment business and equestrian circles for their expertise in horsemanship and specialized training. 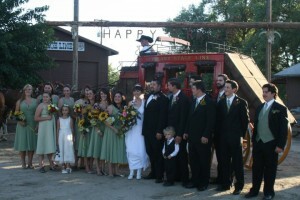 We are perfect for special occasions, destination weddings in Paso Robles and rehearsal dinners too! Call Harris Stage Lines at (805) 237-1860 for more details! 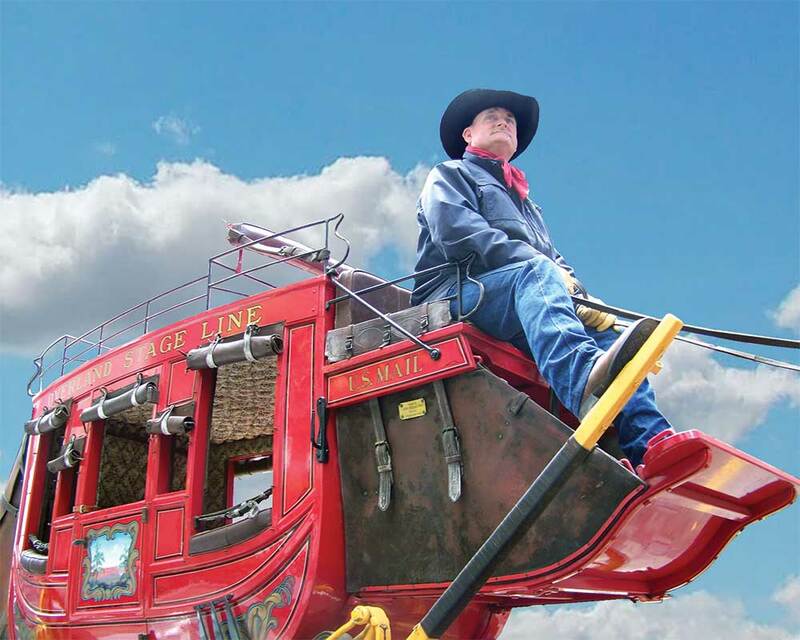 We love to create a fun, western environment for events using our unique horse drawn vehicles and carriages! Tommy Harris Driving a stagecoach in downtown San Francisco! 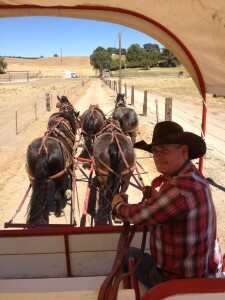 Experience a ride in a Concord Stagecoach at Harris Stage Lines.Relive history, traveling by stagecoach just as it was in Paso Robles in the late 1860’s.Tour SRY Coaches collection of horse drawn vehicles that helped settle & open America.Next over to the livery stable & see the various breeds of horses including the “Gentle Giants” our Belgian draft horses.Watch us hitch the horses to the stagecoach, then board the coach for a ride that will take you back in time. You are invited to bring a picnic and enjoy the ranch. Rates: $50.00 per person with a $200.00 minimum. Call for reservations and don’t forget your camera. 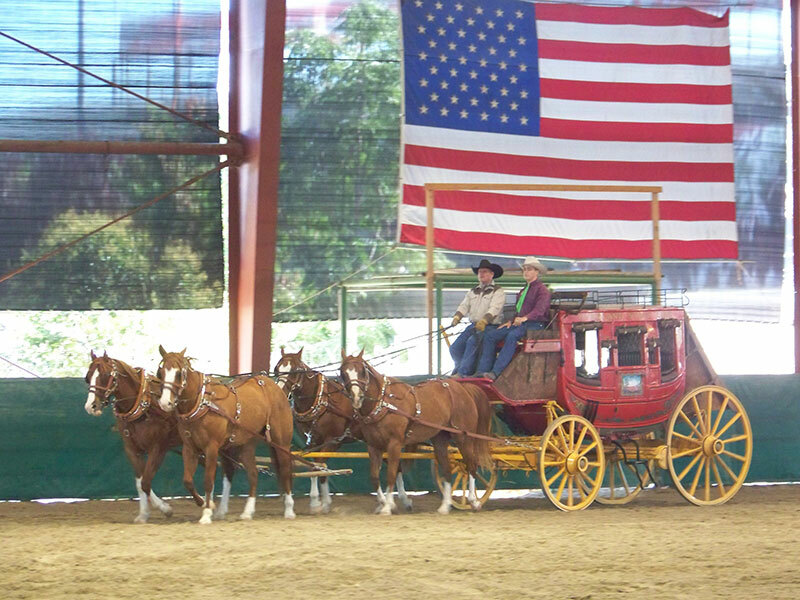 World renown horsemanship is a way of life for Harris Stage Lines, located in Paso Robles California. Harris Stage Lines, where the pavement ends and the West begins . 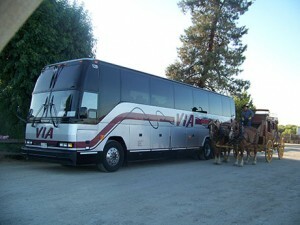 . .
A unique ranch event facilities for Bus Groups, Weddings, Birthdays, Field Trips, to name a few. 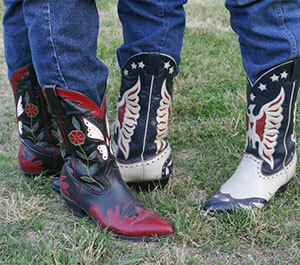 We offer something for every age group from Horse camps to a meal served from an authentic Chuck Wagon! Try your hand at the mechanical roping machine or marvel at the beautiful Roman Chariots used in the Hollywood movie business. Take a step back in time and touch a bit of history with an experience to be shared and long remembered. We are sure once you sample our western hospitality you will want to return and share the experience with family and friends. Harris Stage Lines at the State Fair in California! Harris Stage Lines also offers their services off property. We have worked extensively with meeting planners & event coordinators from Coast to Coast and even Hawaii. Some of their clients have been C.A.T. Voyage of France, Hewlett Packard, Cosmo Oil of Japan, Westin Kauai Resort and former President Jimmy Carter & the Young Presidents Organization.